Meranti can be found in, Southeast Asia, the Philippines, Malaysia and Sarawak, also found in low-lying rain forests in low mountainous region. Wood colour: Pale to medium to dark reddish-brown. The sapwood will normally be a lighter shade of red than the heart wood. Meranti has relatively good outdoor durability, although will need to be treated or painted. This is the cheapest hardwood we produce our wooden garage doors and gates in. 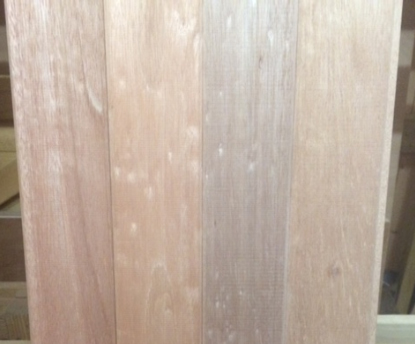 A photo of a Meranti hardwood gate can be viewed within our priced wooden gate section. Please note the photo above is only a representation of Meranti hardwood, as it is a natural product the colour can vary.